Niagra Falls, NY— July 18, 2018—The Monroney Label is so ordinary we forget how much merchandising punch this mandated sheet of paper can bring to your used car marketing. Now, to bring the Monroney Label and how dealers display it into the 21st century, two leaders in vehicle signage and information, Wheel’s Automotive Dealer Supplies, Inc. and MonroneyLabels.com, have teamed up to bring exciting new rhythms to Monroney label creation, convenience and on-vehicle promotion. Wheel’s is North America’s most renowned experts in innovative marketing products for automotive retailers. One if its most popular Monroney label holders is its Magic Cling, a reusable car-window label holder adding a crisp, like-new merchandising appeal to used cars that shouts, ‘Look here!” as shoppers browse the lot. Wheel’s Magic Cling window sticker holders can be custom ordered in any size or shape. These holders leave no residue when removed from car windows. Reuse them up to 50 times! 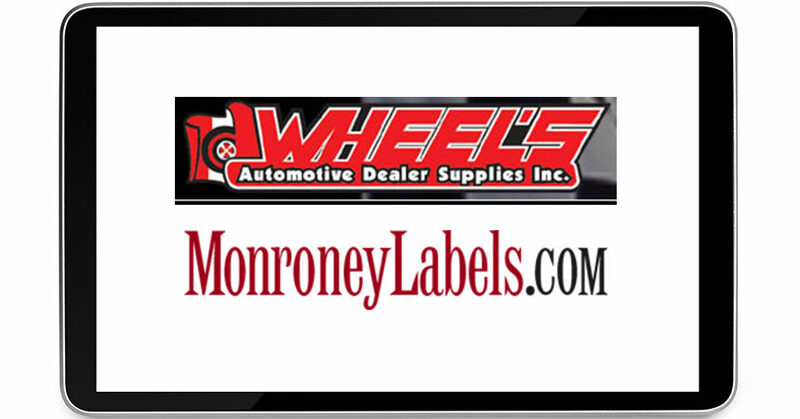 It is one of several types of holders available from wheelsauto.com that works with your Monroney Label to increase its visibility and the merchandising of any vehicle on which they are displayed. This venture is the first significant upgrade and merchandising improvement in decades for this essential and ubiquitous information label. The Automobile Information Disclosure Act of 1958 mandated the disclosure of equipment and pricing on each new automobile sold in the United States. The Monroney window sticker was named after Senator Mike Monroney from Oklahoma. While each new vehicle is delivered with a factory-applied Monroney Label, used car departments and used car dealers must source this vehicle data from VIN explosions, and print and apply—or attach online digital versions to each corresponding vehicle for sale online. “Seventy percent of vehicles listed for sale on the internet are missing or have misdirected factory options listed,” said Ned Nielsen, MonroneyLabels.com president, and a former multi-franchised dealer who understands this vital marketing need. To view Wheel’s line of distinct used car and CPO-focused showroom and lot merchandising and marketing products, visit www.wheelsauto.com. 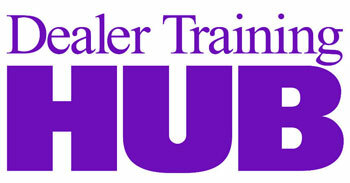 Contact Renee Perri, Vice President of Corporate Division at 1-800-465-8831, Ext. 105.